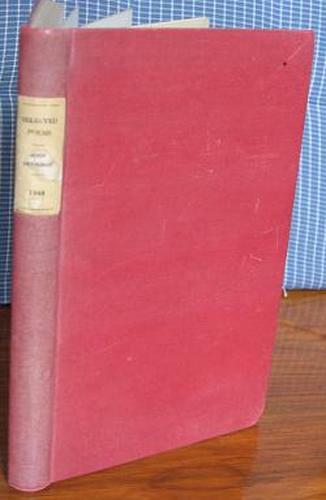 Red cloth with cream paste-down label to spine. Cloth is a little faded with one tiny mark and a few light scratches to front. Label is tanned and a little water marked. Lightly bumped to corners. A tight copy. Hardback. 127pp. An early selection of Betjeman's poetry from his first four volumes. Chosen, with a preface, by John Sparrow.